Chill Out with Mr Freeze! Join us a we welcome Fermilab's very own Mr. 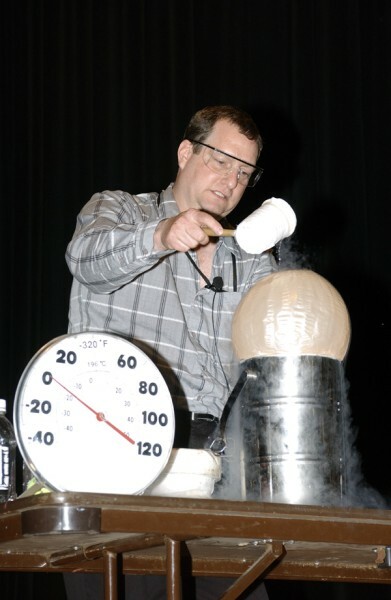 Freeze as he demonstrates the interesting and fun properties of cryogenics! Get ready for an exciting, interactive science-based program filled with lots of surprises and a few explosions! Attendee must be at least in grade K or higher.